Size. Images in the vector format have smaller size than other format, e.g. raster graphics. Scalability. While enlarging of raster image means only changing the size of the squares of which image consists and leads to the blurred picture, enlarging of the vector image means adapting to the new size by re-computing the equation without the loss in image quality. Editing. Vector image contains set of lines that are independent and distinct objects and can be changed at any time by re-editing the drawing file. The main objective of Raphaël is to provide an adapter that can make vector graphics compatible with different browsers. If there is a need of previous browsers versions support, then Raphaël is perfect choice. It handles the following browser versions: Internet Explorer 6.0+ (VML is used for old versions), Firefox 3.0+, Chrome 5.0+, Opera 9.5+, and Safari 3.0+. 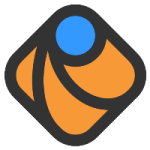 Raphaël is a popular tool for creating maps. This library makes it easy to draw counties and has a useful set of functions for interacting with shapes once they’ve been drawn. Raphael renders images as SVGs for modern browsers and as VMLs for Internet Explorer. Moreover, if map is already partially written in SVG format, it can easily be converted into more compact Raphael format, transferring paths data at the same time. Maps can be easily scaled to the desired size.